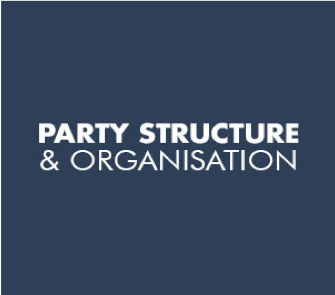 Almost all of the Conservatives who work for the Party do so on a voluntary basis. They run their local Associations and donate tens of thousands of hours of their time every year to help the Party. They campaign all year round, delivering leaflets and canvassing voters in their local area. Our volunteers are also the people who raise the money to run the Party across the country, through membership subscriptions and holding events in their local area. Each local Association corresponds to a parliamentary constituency. While Associations vary in size, almost all follow the same structure. Windsor Conservative Association is overseen by a governing body, known as the Executive Council. This is made up of Officers, Honorary Members, Branch Representatives, a CWO Representative, the MP, the MEPs, the Agent, and any CCHQ Representatives who wish to attend. The National Convention is effectively the parliament of the Voluntary Party. It is comprised of all Association Chairs, officers from Areas and Regions as well as 42 representatives from Conservative Future and the Conservative Women's Organisation. The Convention meets twice a year – its Annual General Meeting is usually held at Spring Forum, with another meeting usually held at Party Conference. Its purpose is to receive the Annual Report, elect the Convention’s new officers and to set the Voluntary Party’s direction. This is the Conservative Party campaign to spread the word. Please click above to share the facts!